I noticed these a while back and finally got a good photo of the pair in Skeyton churchyard, just down the road from my workshop. What I like most about them is their size and subtlety, and their quiet subdued beauty. 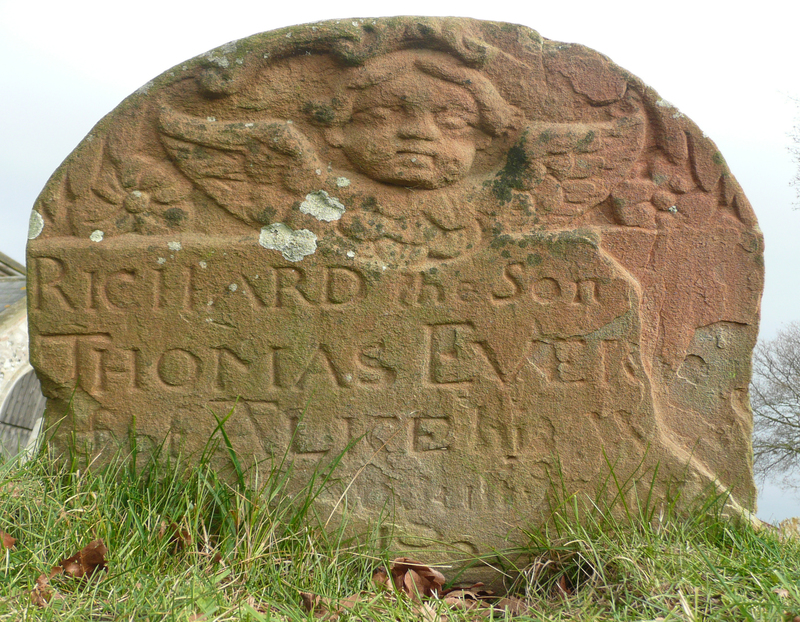 They are only about 12-18″ tall and yet for me stand out as being the most powerful memorials in this churchyard. 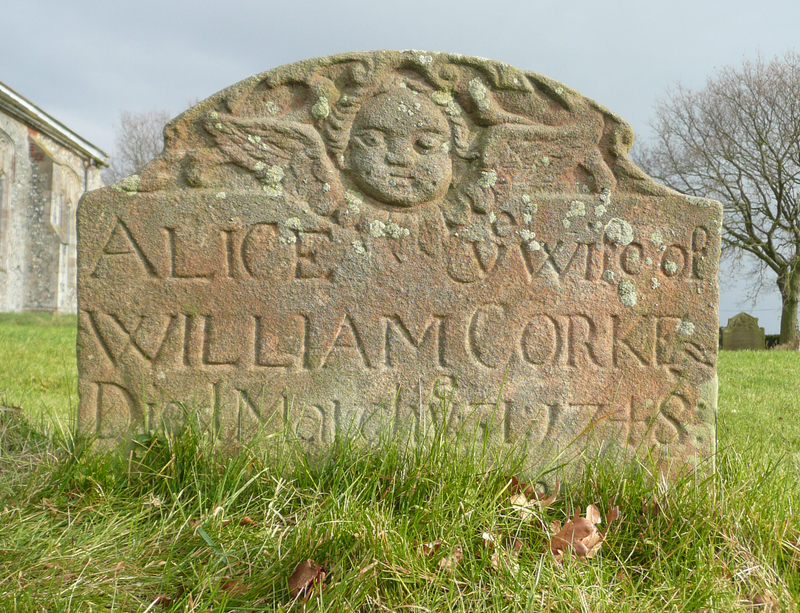 This entry was posted in 18th Century memorials, lettercutting, old memorials, stone carving, Uncategorized and tagged 18th century memorials. Bookmark the permalink. So charming. Sort of look like they were installed first, then carved, a bit wonky and cramped. I wonder how much work went into layout back then. They always seem to be running out of room. hi Jesse – I think they were pretty free with the designs then – these seem more thought through than most around these parts, despite the (wonderful) lettering being more ‘folksy’ than type-inspired to my mind. I sometimes wonder if the ‘client’ was shown a design or indeed whether the church authorities were, because making a design would have dictated or guided the placing of the lettering, and this is often quite hap-hazard. I have seen more by the same carver since taking these and will post soon about them. They are indeed ‘charming’ as you say – a good word.